The BBC’s Sunday Politics show is about to finish for good… This thursday I had the privilege of filming the final ever moodbox for a sunday show. 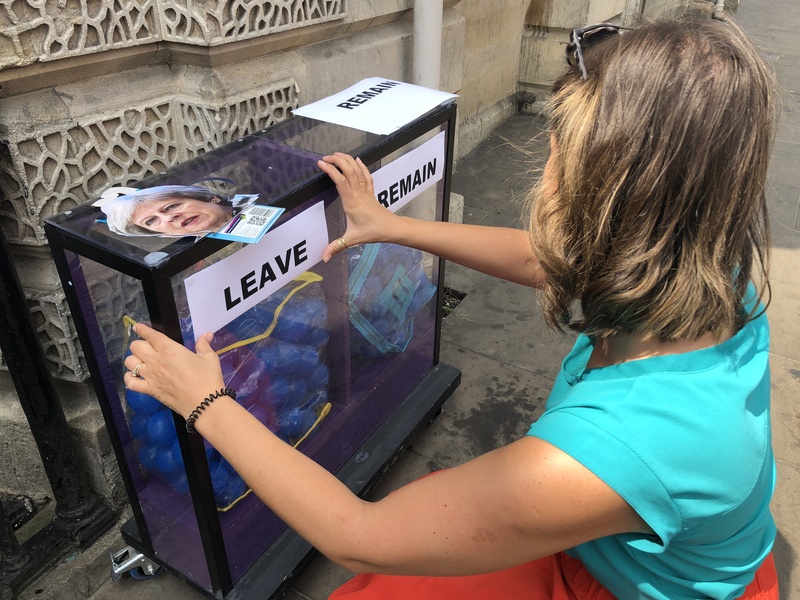 We headed to Aylesbury to ask the public “Which side is Theresa May on… Leave or Remain?”. Now as news crews we all consider ourselves “DOP’s of news” but when a producer comes up to us in the newsroom and they shyly say we are going out to do some voxpops you can’t help but feel your heart sink a little, however filming nearly 100 in one session this Thursday in Aylesbury was a real pleasure for two reasons, the first was the team, the three of us had a great laugh working together and the second was the Moodbox itself! Doing voxes is normally a mission but having the box and the balls is a masterstroke when it comes to getting people to interact with a journalist asking what sometimes might seem like a pointless question. This prop meant that more often than not people were coming to us to post a ball even before they new what the question was!! As you can tell I’m a fan on the moodbox but when a piece is made up purely of voxpos a prop like that also allows the correspondent to interact with the audience in a way that isn’t possible at other times. 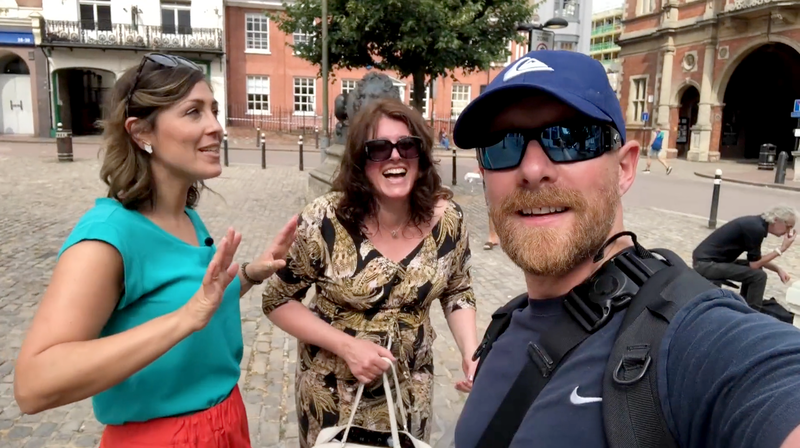 The show are also keen on breaking the fourth wall, hence my cameo (Clearly in there to liven things up)… I’ve also added a bit on the end that wasn’t in the show.